In the decade he’s been on Pittsburgh City Council, Rev. Ricky Burgess, who represents District 9, said he’s learned a lot about development. And the most important thing? Action. “You have to show people change,” he said, adding that to change their minds, it takes changing how they think and act. As a council member, Burgess said his focus is helping low- and moderate- income residents. 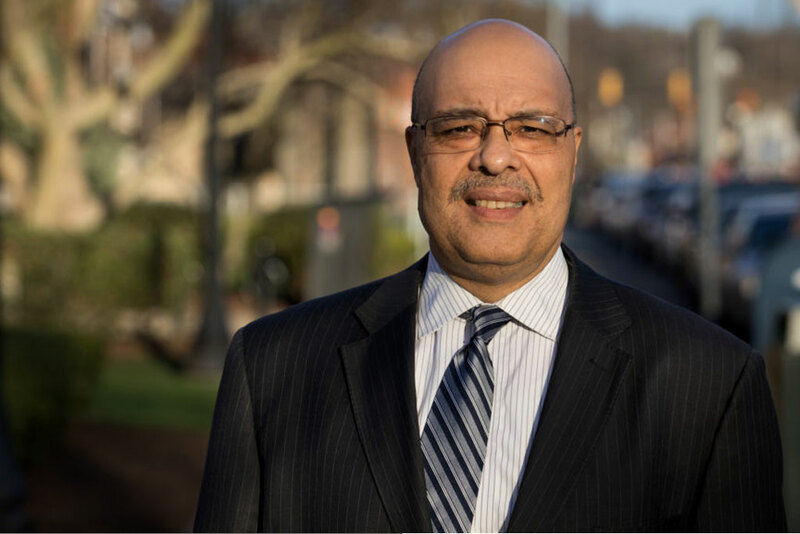 For the final installment of our nine-part Meet City Council series, The Incline sat down with Burgess in March at Nazarene Baptist Church in Homewood — where he’s the pastor — to talk about Pittsburgh, District 9 and more. Below is our conversation, edited and condensed for clarity. District 9 includes: East Hills, East Liberty, Friendship, Garfield, Homewood, Larimer, Lincoln-Lemington-Belmar and North Point Breeze. See a map here. Contact: Call the District 9 office at 412-255-2137, email Burgess at reverend.burgess@pittsburghpa.gov or use this feedback form. Find him on Twitter at @RickyBurgessPgh. Q: What is the biggest issue in District 9? A: Burgess said there are two — economic development and public safety. The council member said he’s supported public safety reform from adding ShotSpotter to increasing training and equipment for police to improving police relationships with the city. Burgess also touted the HELP Initiative, which is designed to help five neighborhoods in his district (East Hills, East Liberty, Homewood, Larimer and Lincoln-Lemington-Belmar), through a resident-driven process for affordable housing. The initiative has five steps: Community collaboration, comprehensive planning, organizational capacity, capital funds and development of projects. Burgess said there’s been economic development in his district such as as townhouses and new businesses in Homewood. But to transform communities, there needs to be a “concentrated investment” in District 9 neighborhoods, which are home to a large African American population in Pittsburgh, Burgess said. He added that happens by bringing in new money and coordinating existing resources. It’s not just low-income housing that Pittsburgh needs, he said, adding that some of the people who work at local hospitals can’t afford some housing near their work. Burgess said that he has some solutions that he’s working on, but wasn’t ready to talk about those just yet. But what the city needs is a large amount of money on the front end, Burgess said. He said the small steps aren’t significant enough to make a difference. “If we keep doing it in small steps, we’re going to become more economically segregated and the land will be gone,” Burgess said. Q: What’s your favorite part of living in District 9? A: “I live here because of the people,” he said, adding that he met his wife, Carlotta, there in the first grade. Burgess said it’s also a “blessing” to have his church — Nazarene Baptist Church — in his district and that the members have become like family. A: He said people need to understand that Pittsburgh’s low-income neighborhoods have been neglected for 50 years; they aren’t just the way they are for no reason. So it’s not about the office, he said. Q: What has been one of the most memorable moments of your political career? A: Burgess said he’s not someone who focuses on what the “best” moment is. But he did say there is a moment that stuck with him from before he was elected to council. When he started his first campaign, Burgess went to the deacon at the time to get permission. And the deacon’s answer was a memorable one. “He said, ‘Remember when Homewood Avenue used to be thriving? If you can make it like that again, then run,’” Burgess said. That’s helped inspire the council member’s plans to think big. Burgess added that he’s always working on something systematic with one goal in mind.